Sugardaters such as young ladies and older, wealthy men do not have to spend another night thinking about the time wasted thanks to mutually beneficial arrangements in the sugar world. Sugar Daddies are too busy in their lives to be bothered by commitment issues. Who wants the stress at home after making high-pressure decisions at work all day. Any successful businessman would want to come home to a relaxed environment. If you crave the same, it might be the right to find yourself a Sugar Baby. A Sugar Baby and Sugar Daddy relationship keeps both partners satisfied. Here’s why sugardaters are happier than partners in a vanilla relationship. Both Sugar Daddies and Sugar Babies get attracted to the sugar bowl for different reasons. Sugar Babies are looking for someone to provide for them, introduce them to living a luxurious life or a travel mate to travel the world with. Sugar Daddies simply want a beautiful Sugar Baby who could take care of their needs minus the stress that comes with a traditional relationship. Whatever the reason for entering the sugar bowl may be, both partners can enjoy the benefits of such an arrangement. Sugar Babies cannot afford to live a luxurious life and a Sugar Daddy can provide them with that. Moreover, it is not always material gains in a sugar relationship, some Sugar Babies benefit from their Sugar Daddies in various other aspects such as mentorship and networking for the future. 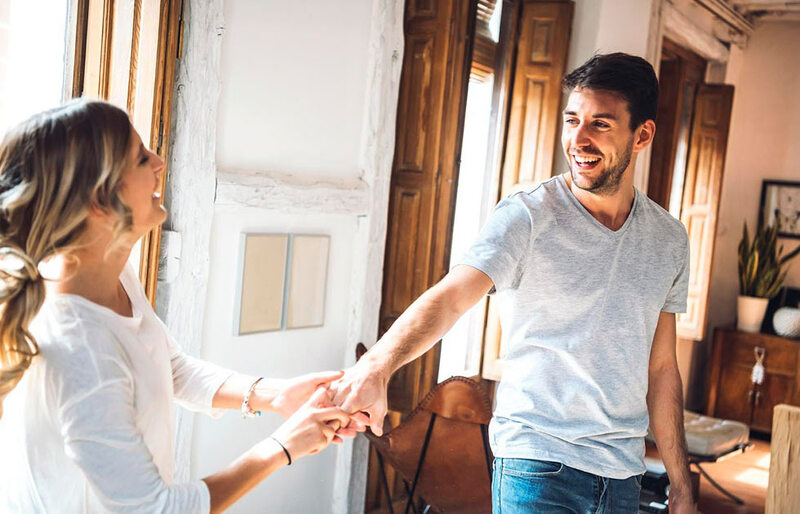 Before entering mutually beneficial arrangements, both sugardaters are expected to leave every negative emotion that could disturb a relationship. Sugar Babies don’t want young men fighting over petty issues and opt for a mature, wealthy man who respects them. Sugar Daddies don’t have time to text all day or the stress involved within the traditional commitment. Sugar dating is perfect for people who looking for a complete relationship without minus any negative emotions such as jealousy. However, this doesn’t mean that a Sugar Daddy and Sugar Baby can’t care about each other’s needs. Furthermore, most relations end because one partner isn’t faithful to the other. No strings attached Sugar Daddies and Sugar Babies can avoid getting their heart broken because most times no party expects the other to remain exclusive to them. Sugar Daddies have families and a Sugar Baby doesn’t have an issue with that. Similarly, a Sugar Baby is free to live her life out of the arrangement. However, if at the start of the relationship, the Sugar Daddy says that he wants exclusivity then that’s a different scenario altogether. Lies can hurt a relationship in the worst possible manner. Not being to trust your partner is a deal-breaker in vanilla relationships. This situation is avoidable in a sugar relationship if sugar partners sit down at the start of the arrangement to lay out their expectations with all honesty. Both enter the arrangement knowing the needs of their partner. When they enter a mutually beneficial relationship together as sugardaters it means they’ve agreed to what their partner desires. It’s much easier to fulfill anyone’s demands if you know them and this is why honest communication is vital for a long-lasting sugar relationship. Regardless of the time, place and situation, breakups are always hard. Since it’s a given that sugar relationships don’t involve the same level of commitment as that of traditional relationships, breaking up isn’t as hard. Moreover, breakups in sugar arrangements happen in a very respectful manner. Sugar Daddies and Sugar Babies sit down to discuss the reasons why their mutually beneficial arrangement can’t work anymore. Some sugardaters even remain friends after their separation. A major motive of why Sugar Daddies opt for dating Sugar Babies is that they need someone to make them feel wanted. A Sugar Baby injects much-needed energy into a Sugar Daddy’s life. Sugar Babies listen to and take care of their Sugar Daddy’s needs. She keeps him satisfied in every way possible and a Sugar Daddy repays her in the form of perks, gifts, and a first-class lifestyle. Being with a Sugar Baby or Sugar Daddy does a lot of good to the ego of either partner.